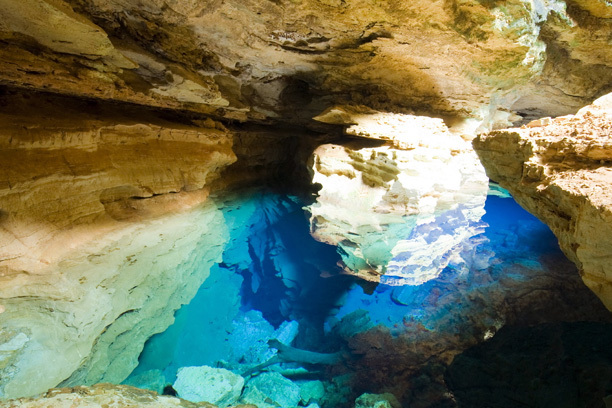 The 1,465 m high Monte Caburaí mountain is located in the state of Roraima at Brazil's northernmost frontier, bordering with Guyana and Venezuela. The region is part of the highland of the Brazilian shield which consists of a roughly 600 million old Precambrian landmass. The mountain is part of the "Mount Roraima National Park", situated on a huge plateau at 1,000 m altitude. The breathtaking landscape is marked by several peaks and canyons covered with dense tropical rainforest und countless waterfalls. 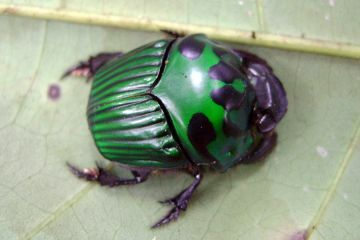 The region offers rich biodiversity and a once in a life time adventure for lovers of pristine tropical Nature. In 1930, the Brazilian explorer Marechal Cândido Rondon opened the Amazonian frontiers as from the state of Mato Grosso towards the north, organized an expedition to the Monte Caburaí claiming to have reached the northernmost point of Brazil. Despite its magic energy that the lush tropical rain forest transmits, the region around the mountain was soon forgotten because of the difficulties of access and harsh living conditions. 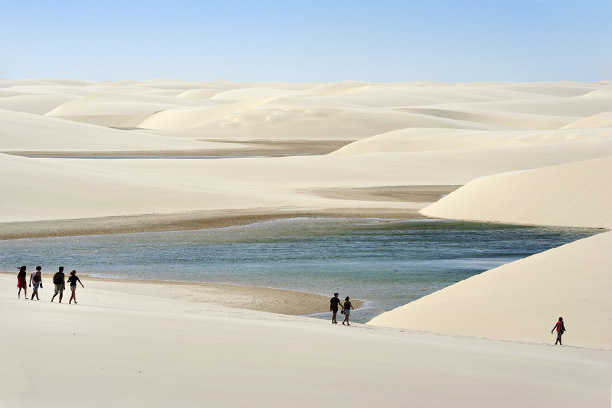 However, Brazil´s northernmost area, around the source of the Uailã River, offers Nature lovers and Adventurers alike unrivaled beauty, pristine flora and exotic fauna. On our expedition you will marvel at gigantic trees hosting hundreds of species of birds and botanists will discover endemic species like Clusiagrandiflora a bush that grows only here and in neighboring Guyana. 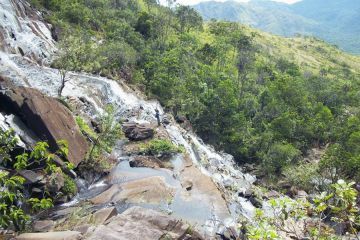 Another natural attraction is the Garã-Garã waterfall. For hundreds of Million years an enormous volume of water thunders down from a height of 96 m shaping thus one of the most beautiful canyons in the Amazonian region. The Ingarikó inhabit the area surrounding Mount Roraima, the dominant landmark on the triple border between Brazil, Guiana and Venezuela, and, above all, the stump of the mythological tree of life, which was chopped down at the beginning of time. Occupying the highest portion of the Raposa Serra do Sol Indigenous Territory, they remained free of the various forms of recruiting indigenous labor that affected neighboring peoples to the south for centuries. Contacts with their relatives in Guiana are today, as in the past, fairly frequent. They belong to the linguistic family of the Karib. The population of 728 in 1992, increased to 1,271 individuals in 2010. In the village of Manalai, which we will visit, the population has increased from 192 in 1992 to 344 in 2011. Basket waiving of vine and arumã fibers is one of their most expressive elements in their culture. 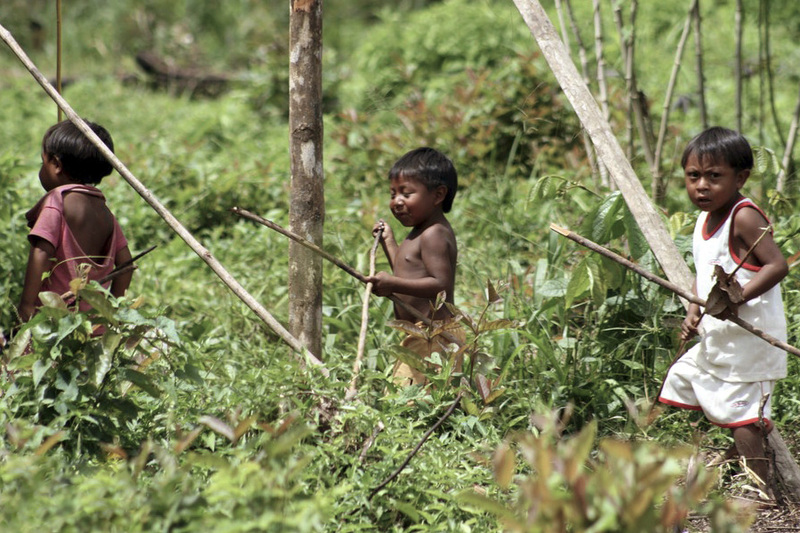 Fishing, hunting and agricultural activities are their means of subsistence. Some activities are collective others limited to each family. The aim of this expedition is to follow the tracks of the legendary Marechal Rondon to the northernmost point of Brazil and the attempt to climb the summit of the Monte Caburaí an adventure that connects you with Brazil's history. The trail through dense rainforest is strenuous. The constant up and down hill hiking at elevated temperatures, reaching 30-35° Celsius on a set task of 6 hrs / day, requires additional energy of the traveler. Natural water resources vary from leg to leg, so that an adequate drinking water management is important. While the goal is to reach the northernmost point of Brazil and the summit of the Mount Caburaí, its achievement is not granted. Natural obstacles such as dense lowland and highland rainforest, crossing of rivers, rapids, waterfalls, marsh land and actual weather conditions, are a constant physical and mental challenge. Are you ready to take it on? Years ago at Southern Cross Tours & Expeditions we decided to operate the expedition to the Pico da Neblina, the highest peak in Brazil, amidst the Amazonian Rainforest, instead of going to the Monte Caburái, which at that point was an incognito to nearly everybody. In March 2011 we organized a first expedition to the Caburaí and arrived at the "5.6.km marker" defining the northernmost point of the Brazilian territory. After 5 days of challenging Rainforest hiking, where nature presented herself in exuberance and generosity we reached the summit. First we followed a trail used by indigenous hunters. Than we had to make a new Trail by means of proper machete handling. Our team was carefully selected and included Ingarikó natives, masters of survival in the rainforest, as well as Mundico, the shaman and Arlindo the local guide, both from the Ingarikó tribe. 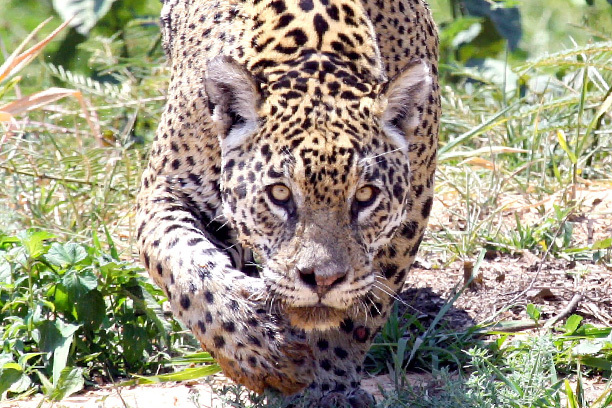 The alertness and experience of our native guides in this environment however would not substitute other important equipment such as machete, shot gun, GPS and compass. Arrival in Boa Vista. Transfer to the Hotel and City tour. Overnight. Transfer with private air charter from Boa Vista to Uiramuta. The flight takes 1:30 h and covers 253 km. For overnight we are guests of the Ingarikó community in the Manalai village. As a safeguard we have kept this day free of programmed activities. You are free to explore the area around Monte Caburaí, botanising, bird watching, photographing, hammocking…..
On day 9 we will return to the Ingarikó community with arrival there estimated for day 12. There is time to socialize with tribe members and perhaps purchase some of their famous basketry. The group will overnight again in the community. 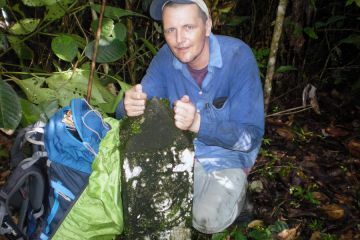 as you know, I took a tour with Southern Cross Tours & Expeditions in April 2013, to Mount Caburaí in the Amazon. It was a great trip and I would like to report on it for your information. It was not overly strenuous but we hiked around 8-9 hours/day to cover some 14-15kms only. So, it was no picnic either. The days in the fantastic rainforest made more than even. Also we were able to spot quiet a few animals, like monkeys, scorpions, snakes and the Tarantula. In fact, these amazing spiders with their 15cm body length plus the same length for the legs, were quiet common around there. We spotted them nearly every day. The 2 hours flight from Boa Vista to the Indian settlement Manalai was also impressive. Initially we flew over stretched out savanna environment. After one hour Mount Roraima appeared on the horizon. Then the savannh suddenly gave way to an endless carpet of rainforest that stretched until Guayna and the Atlantic Ocean. Fortunately the rainforest seemed to be untouched. After arrival in Manalai a feast was celebrated by the Ingarikó tribe there to welcome our small group of 4 travelers and the crew. Even from here we were able to spot the huge Mount Roraima tepuí. We started out using an Indian hunting trail. 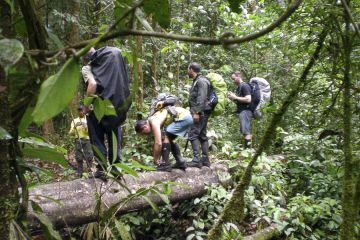 Hiking three more days through the dense jungle gave plenty of work work to the machetes of our guides. The constant up and downs of the terrain, which was slippery from the moisture and of the leaves covering the ground, was kind of tough too. On our way to the peak of Mount Caburaí we passed trough several vegetation zones until we reached the high plateau, that was covered with endemic orchids I have never even heard of. The guides informed their names but I have to amid not to remember them. There was a refreshing wind up here cooling down the heat of the body, acquired form the tough hikes through the Amazonian Rain forest. Exactly on Easter Sunday we arrived at Mark BG11A, which is the northernmost point of Brazil. Two fellow travelers tried last year in vain to arrive at this point, but had to return before they reached it, as they were running out of food. This time they made it and they were very happy. The Southern Cross Tours&Expedition group was also the first group ever to make it to Mount Caburaí. We scratched our names on an iron pole that we had taken all the way along with us and hoisted the Brazilian flag. I am not a Botanist but I found the vegetation up here wonderful. Many plants, moss, grass, I could not identify and there were trees full of several kind of different bromeliads. The trees were not as high as I had imagined but the landscape as such was unique, somehow difficult to describe but very magic. We stayed one night on top of Mount Caburaí before we started our way back to Manalai. It was easier walking now since the trail was cleared and well marked. Several times we stopped for a break and a refreshing bath in the waterfalls and rapids. Back at the village we were welcomed and pleased to see the children having fun with the toys and the ball we presented them with when we arrived there, some days ago. 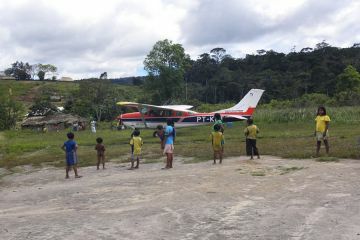 Our plane picked us up to bring back to Boa Vista and civilization. I can recommend this tour without hesitation. It was perfectly organized and the untouched environment was exactly that what I had hoped for. In fact, the nature of this region did outmatch my espectations hands down. Thank you Peter for a great trip. group of 8 persons 4,940 US$ p.p. group of 7 persons 5,450 US$ p.p. group of 6 persons 6,190 US$ p.p. group of 5 persons 6,750 US$ p.p. group of 4 persons 8,100 US$ p.p. The actual travel dates will be published shortly here. The price is based on a minimum of 4 and a maximum of 8 participants. Special arrangements can be made for 3-2 or individual Travelers . This expedition is scheduled to take 13 days / 12 nights. To match personal interests and provided that adequate logistics are available, the tour can be extended upon request. Gate-way is the airport of Boa Vista (BVB) in the Brazilian Federal State of Roraima. TAM Linhas Aereas and GOL Airlines fly to Boa Vista via Manaus. Tickets from these airlines can be purchased internationally. Although we offer both tent and hammocks we do recommend sleeping in tents. Day and night temperatures vary strongly and rains and unknown insects may have to be considered. The daily camp is set in team work around 4:30 pm. Two-person-tents, hammocks, kitchen equipment, Battery recharger for joint used equipment, ropes, first aid kit, travel insurance, satelite tracking system, GPS system, and radio equipment. Equatorial, tropical humid, average temperatures vary from 20° C at higher altitudes to + 30° C in the lowlands. Best time to travel in the region is the dry season that is when it rains less, which is from October through March. Please calculate personal expenses for your stay before and after the beginning of the trail such as Hotel accommodation in Boa Vista, purchase of handy craft at the Manalai.